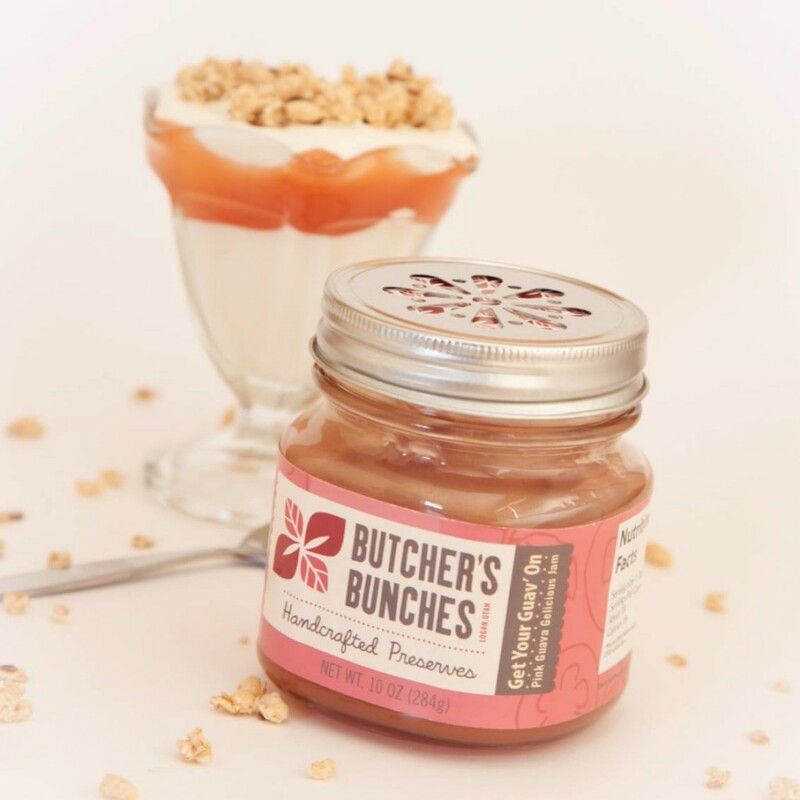 Butcher’s Bunches makes no-sugar-added jams, marmalades, chutneys, relishes, fruit spreads, and balsamic vinegars. 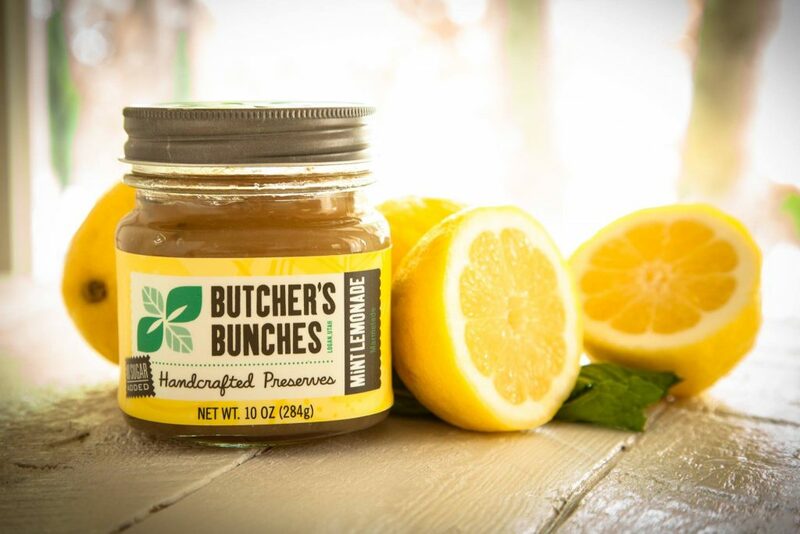 We do not add any artificial sweeteners or artificial preservatives and have created a 100 percent natural product for you to enjoy. We have a variety of flavors utilizing local raspberries, peaches, apricots, cherries, blackberries, peppers, and onions. We also source lemons, Strawberry Guava fruit, California Mission Figs, and Deglet Noor Dates from other sustainably producing USA outlets. Feel free to ask us where the fruit in your jar came from. We can tell you! Butcher’s Bunches Handcrafted Preserves of Logan, Utah is committed to preserving the roots of our community. We support farmers who grow sustainably, follow traditional family recipes, and embrace America’s diverse cultural harmony. American pioneers grew and gathered food, then preserved it over open flame while exploring the foundation of our country. Butcher’s Bunches preserves in that same fashion—respecting our roots and heritage. We use the same tin and aluminum pots over flame and each batch is stirred, poured, and labelled by hand. Please enjoy the true taste of what our farmers work so hard to give us. 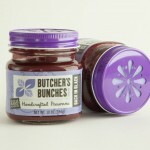 Try Butcher’s Bunches today. 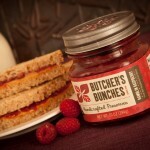 Wonderful full flavored fruit preserves. This company is true to their promise, and gives the customer high quality products. I have never tasted a better fruit spread in my life. Fantastic, interesting flavors, amazing service, no sugar! What more could you ask for? 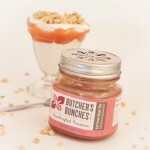 Fantastic natural, local fruit spreads! Meet Kenneth Butcher, the owner of Butcher’s Bunches. Kenneth was born with abilities that are different than most people. He cannot have sugars or artificial preservatives—none of that fake stuff you find in products nowadays. This means corn syrup, Aspartame, Neotame, Saccharin (and others), dyes, or pear juice concentrate. What is in pear juice concentrate? You got it. Corn syrup, sugar, and a few pears. So, over the years we adapted our recipes for him. We used the beautiful produce we grow on our farm to make “real” jams that everyone could eat—taking them to our local farmers market instead of produce. They were an instant hit and here we are seven years later thanking Kenneth for inspiring us to think outside the jar, and helping our family business spread good health, joy, information, and love to all of you. This entry was posted in Food and tagged butchers bunches, fruit, jam, jellies, logan, preserves, sugar free on March 22, 2017 .